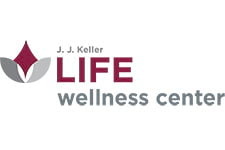 Neenah, WI - J. J. Keller & Associates, Inc., the nation’s leading provider of regulatory, safety and compliance solutions, announced its grand opening of a new LIFE wellness center located in Appleton, Wisconsin. The new facility, staffed by nurse practitioners, a medical assistant and health coaches, offers primary and preventive care, disease management, laboratory services, patient education, health coaching and nutritional counseling to all J. J. Keller associates. In addition, spouses who are enrolled in the J. J. Keller health plan may utilize the new wellness center and services. J. J. Keller & Associates, Inc., recently recognized as a Great Place to Work®, is committed to health and wellness through a comprehensive LIFE wellness program encouraging associates and their families to take an active role in establishing and maintaining a healthy lifestyle. In addition to the LIFE wellness center located in Appleton, J. J. Keller & Associates, Inc. provides an additional onsite LIFE wellness center at its corporate headquarters in Neenah, Wisconsin. Both LIFE wellness centers are operated by Healthstat, Inc. Healthstat is the nation’s most innovative provider of high-quality onsite medical care, wellness programs and population health management solutions. Healthstat’s national presence provides J. J. Keller associates across the United States access to wellness services, counseling and coaching. Discover the many reasons why J. J. Keller & Associates, Inc. has been certified as a Great Place to Work® at www.jjkeller.com/careers. Serving more than 560,000 customers, including 90% of the Fortune 1000® companies, J. J. Keller & Associates, Inc. is the nation’s leading provider of regulatory, safety and compliance solutions. Organizations of all sizes rely on our expert insights to help create safe work environments and simplify the complexities of regulatory compliance. Our diversified portfolio of solutions and services including online management tools, publications, training, forms, supplies, consulting and professional services is trusted to safeguard workers, reduce risk and build operational confidence. As a privately-held, family-owned company since 1953, we are committed to helping protect lives every day. www.jjkeller.com. GHealthstat is the leading provider of onsite primary care, health-risk intervention, chronic care management and occupational medicine. With over 300+ clinics nationwide serving more than 300,000 participants, we create an environment of wellness that works by offering solutions to improve employee health while lowering the employer’s costs. Our goal is to inspire a change in healthcare for the better. www.healthstatinc.com.